Choosing FSBO? Will It Really Save YOU Money? One of the most common misconceptions is that by selling your home without the use of Realtor will net you more money because you aren’t paying commissions. Another common misconception is that an attorney will do the same thing as a Realtor and they only cost a few hundred dollars. 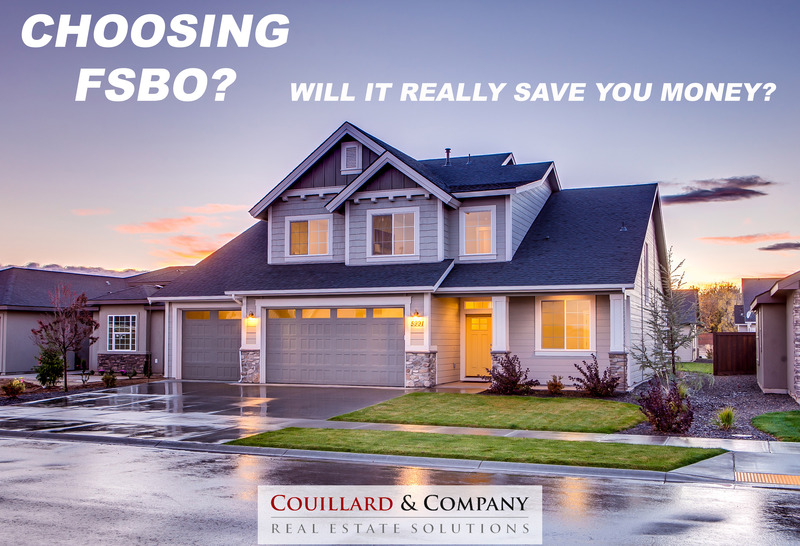 Let’s dive into this and see if choosing FSBO really does save you money! Misconception: I can save money by selling my house on my own! The underlying question I hear when someone talks about selling their home by owner is not about “saving” on the Realtor commission, but rather, why should I pay a Realtor commission, what does that get me? A recent study released by Collateral Analytics concluded that homes sold as For Sale By Owner (FSBO) earn nearly six percent less than those sold by a Realtor. One possible explanation on why FSBO get 6% less is because buying and selling a home can be a very emotional process. If you are selling a home on your own, you will have to come up with a list price. Most homeowners will get emotionally attached to that price and generally think that the house should be priced higher than the comparable market. Which unfortunately means that the home won’t appraise for the list price and at that point, there are only a few options. The seller reduces their price or the buyer brings cash to the closing. Typically, buyers aren’t willing to buy a home for more than it appraises for which then puts the seller in a predicament. Either they will have to sell for less than they agreed to or risk losing a buyer. Taking a lower offer can have a larger affect if the seller plans to use that money to purchase their next home. Misconception: An attorney will do the same thing as a Realtor and they cost so much less! The second misconception is a little easier to explain. Realtors practice real estate and Attorneys practice law. Real estate agents don’t practice law and Attorneys don’t practice real estate. Realtors will ensure all of your real estate interests are protected and attorneys ensure your legal interest are protected. When Realtors and Attorneys work as a team, you and your property are fully protected! As a Realtor, I would ask someone that is considering selling FSBO one question. If I can show you how to sell your home for more money by hiring a realtor, would you give me twenty minutes? Wouldn’t it be nice to not have the stress of selling your home and still make more money than you would WITH ALL THAT STRESS? !